1Place the meat in a pressure cooker or in a slow cooker with the chicken stock and all the ingredients mentioned above. Cook until very tender, then allow it to cool down and shred. 2For the sauce, place the butter and oil in a skillet and then sautee the onions until soft, add the tomatoes, cumin and salt, mix and then slowly cook at low heat for about 10 minutes. 3For the guacamole, combine all the ingredients together with a fork, mix well. 4Combine the sauce and the pulled beef, and add half a cup of the broth used to cook the meat. 5Serve over Cuban style rice with guacamole at the side. This recipe works great as a meal or as a bite size appetizer for any special occasion. Ropa Vieja is a classic Colombian dish and perfect for a family meal. 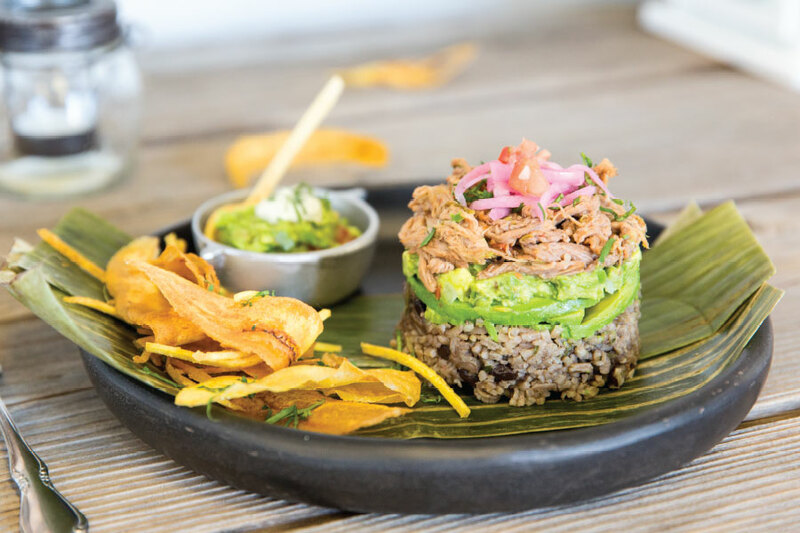 Made using fresh, locally sourced ingredients, the combination of flavours in this dish will have you dreaming of South America! Find this, and other great family friendly meals, ready-made from Familia Fine Foods in Burlington.